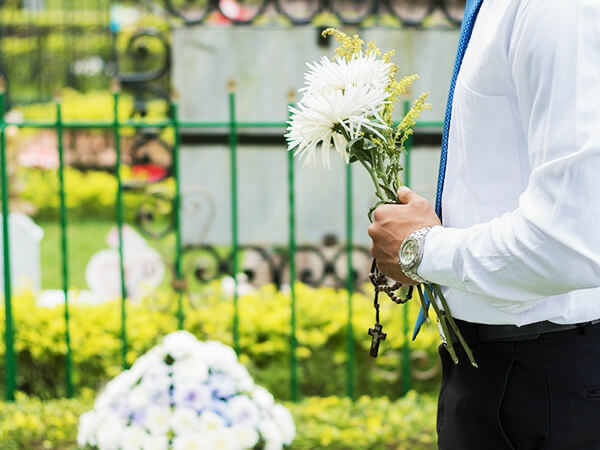 The caring and experienced professionals at Hart's Mortuary and Cremation Center are here to support you through this difficult time. We offer a range of personalized services to suit your family’s wishes and requirements. You can count on us to help you plan a personal, lasting tribute to your loved one. And we’ll carefully guide you through the many decisions that must be made during this challenging time. The history of Hart's Mortuary and Cremation Center in many ways reflects the history of our city, founded in 1823. In 1899, with the population growing rapidly, Jesse B. Hart, a successful Macon entrepreneur with several business interests already established, joined his friend, C.M. Branan, to buy out a local undertaking firm owned by Dennis A. Keating. This merger marks the beginning of Hart’s as we know it. Two years later, Jesse bought out his partner’s interest and purchased yet another local undertaking firm, this one owned by Maconite Arthur L. Wood. The first Hart’s establishment was located at 550 Mulberry Street beside the Hotel Lanier, built one year prior to Hart’s opening. Other advances in the industry were to follow, including the hiring of a lady embalmer by 1911. As Hart’s grew, more professional assistance was added. Employees were loyal and by 1926, the 6-member staff’s collective years with the company totaled an impressive 88. Jesse’s brother, J. Freeman Hart, had joined the business around 1908 and the name had subsequently been changed to “Jesse B. Hart & Brother.” Both brothers held distinguished offices in their industry’s trade associations, with both serving terms as president of the Georgia State Funeral Association, and Jesse being a member of the legislative committee of the National Funeral Directors Association. Freeman was appointed to the State Board of Funeral Examiners and later served the elected offices of secretary and treasurer. In 1926, Hart's Mortuary and Cremation Center was recognized by the local press as “one of the largest and best-known establishments of its kind in the state” -- a distinction that continues to this day. With the Hart family’s commitment to compassionate funeral care, the firm eventually outgrew it original building, Freeman contracted with R.H. Smalling & Sons to design and build a new funeral home at 765 Cherry Street, its current location since 1931. After his brother’s departure from the business to pursue a banking career, Freeman continued at the funeral home and was later joined by his son, J. Freeman Hart, Jr. In 1982, J. Freeman Hart, Jr. sold the business to J. Milton Heard, III of Macon. Hart’s Mortuary continues as a family-owned and operated firm. From its beginnings in 1899 to today, highly-personal, quality service has distinguished Hart’s Mortuary. Employing the highest ethical practices in the industry, the firm continues to offer compassionate care and memorable tributes to the families of Central Georgia. Hart's Mortuary opened its first branch location in August 2008 at 6324 Peake Road, the former home of the Cupola, the headquarters of the Homebuilders' Association of Middle Georgia. Hart's Mortuary opened its second branch location in January 2015 at 307 Pecan lane, Gray, Georgia 31032.